Jay Heiselmann is a five-year veteran in the New York real estate industry and brings with him a wealth of experience in sales and rental markets. Jay subscribes to the idea that a successful agent must apply cutting-edge tools and first-hand market expertise to every one of his projects. To that end, Jay uses the latest technological and a hands-on approach to create a personalized experience for his clients, ensuring that everyone’s goals are met and the process is as low-stress as possible. Jay comes to Compass from MNS where he built a career overseeing residential sales deals for both investment and owner use and supervised several new development rental projects. Growing up, Jay wanted to be an architect, and his passion for design and construction has translated into an intimate knowledge of New York’s complex building and zoning regulations. 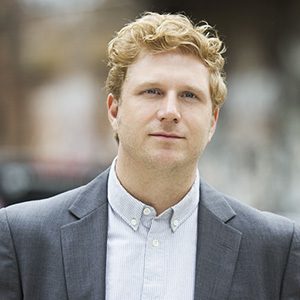 During his tenure in New York real estate, Jay worked on some of the largest condo projects in Williamsburg and Brooklyn Heights. An expert in his field, he has been interviewed in publications including Refinery29, Complex, and the New York Observer, where he has discussed the ins-and-outs of New York's rapidly shifting real estate ecosystem. In addition to his passion for real estate, Jay has been a longtime fixture of Brooklyn's indie music scene, which has given him first-hand knowledge of the boroughs up-and-coming neighborhoods. Countless happy customers have benefited from Jay's approach, and he's confident that he can meet the specific needs of any client who comes his way.